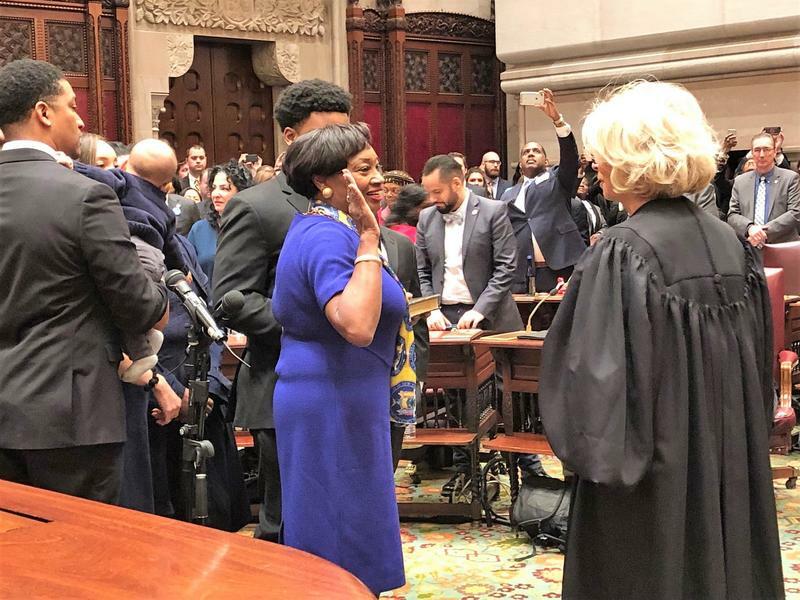 The New York State legislative session began with ceremonies and excitement as Democrats claimed their solid majority in the State Senate, and made history with the election of new female leader. They promised to act quickly on a long list of progressive issues, including strengthening abortion rights and expanding voter access. 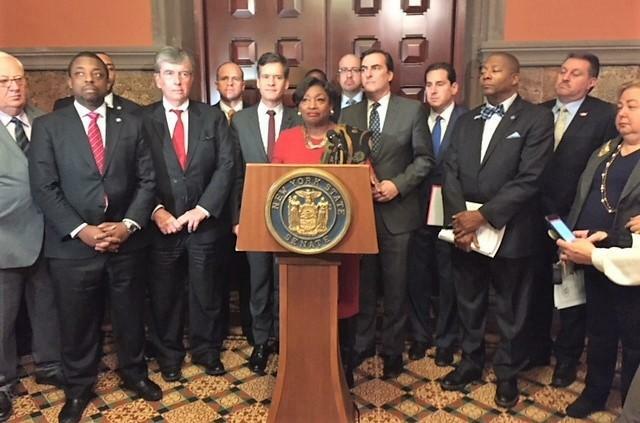 History was made at the State Capitol Monday as the Senate elected its first woman, and African American woman, Andrea Stewart-Cousins , as its leader to head the chamber in January . 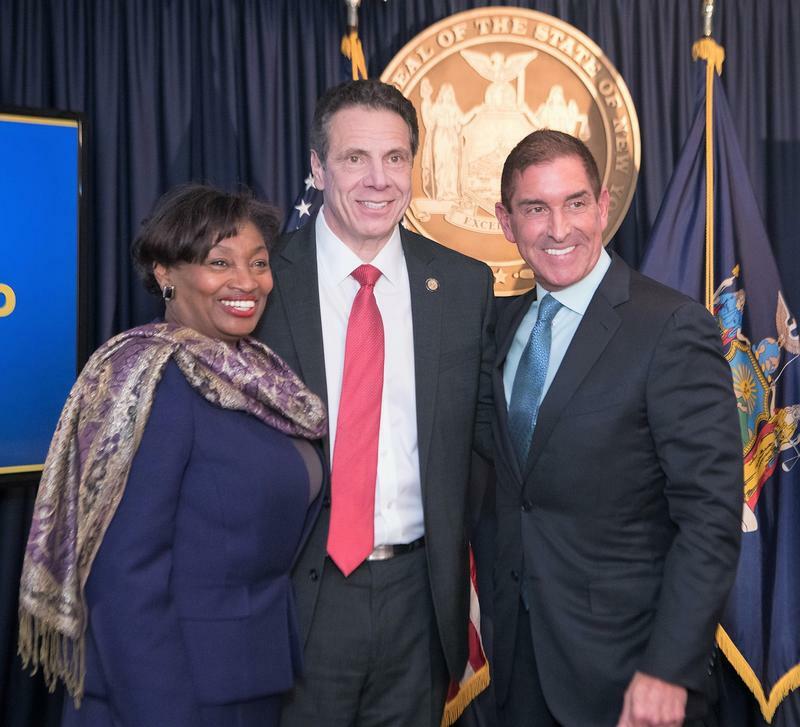 Two warring factions of Democrats in the State Senate are rejoining forces, as pressure has mounted from the party’s left leaning base for a reunification. But the Democrats are still one vote short of the 32 seats they need to regain the majority the Senate. The nearly decade long split between the mainstream Democrats in the Senate and the Independent Democratic Conference is over. 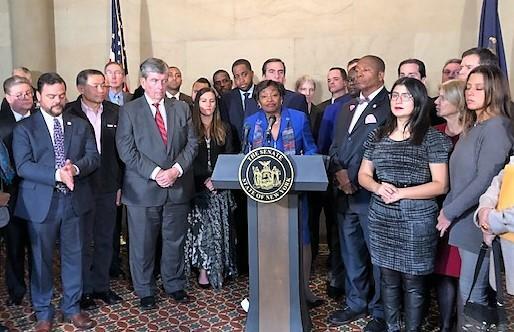 NY Senate GOP Votes Down Democrats Gun Control Measures; Sen. Schumer: "Package Ready by Week's End"
The leader of the New York State Senate Democrats says she’s disappointed that her Republican colleague voted down a package of gun control measures that Democrats brought to the floor Wednesday. Andrea Stewart-Cousins says she was initially optimistic.